Good day my lovely blog readers. On our previous discussion about system recovery, I stated a breif procedure on how to perform a system recovery on windows 8, If missed the tips then you can quickly stroll back to the tutorial. Today's stroll, I would be breifing you on how to perform a system recovery on windows 7. Performing system recovery/restore is of good advantage to your computer by clearings all errors and makes your PC to function in a better way. Today's discussion, I would explain two methods on how to perform system recovery on windows 7. 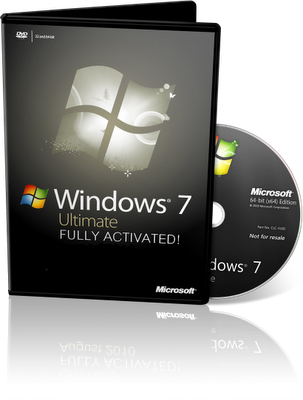 How to perform system recovery inside windows 7. 2. Click on start menu and then navigate to control panel. 3. Click on system and security, then system. 4. Through control panel menu, click on system protection. 7. In other to start the restore process, simply click Yes. 8. Finally, once your restore is completed, your system would automatically restart. Note: You are adviced to backup your vital datas to avoid lost durning the system restoration. This method is needed whenever your system is almost crashed in such a way that it can't boot completely (Boot failure). 1. Boot or restart your computer by holding power button. 2. As your computer restarts, before the windows logo appears to open the Advanced boot menu option, quickly press and hold F8. 3. Use the arrow key to navigate to Repair Your Computer and press enter. 4. Select the language settings of your chioce and click Next. 5. Then log on as administrator, and click OK.
6. Then click System Restore and then Next. 7. Use the most recent restore point which is the default and recommended chioce. 9. In other to start the restore process, click Yes. 10. Finally, once the system restore is completed, then your computer would restart. Note: In most cases, the recent restore doesn't resolve your computer problem, so you can equally go for the next restore option by clicking on the Show more restore check box and continue. This system recovery procedures is recommended for Dell products. Hope this helps, if incase you have any related issue concerning your computer, then don't hesitate to let us know.